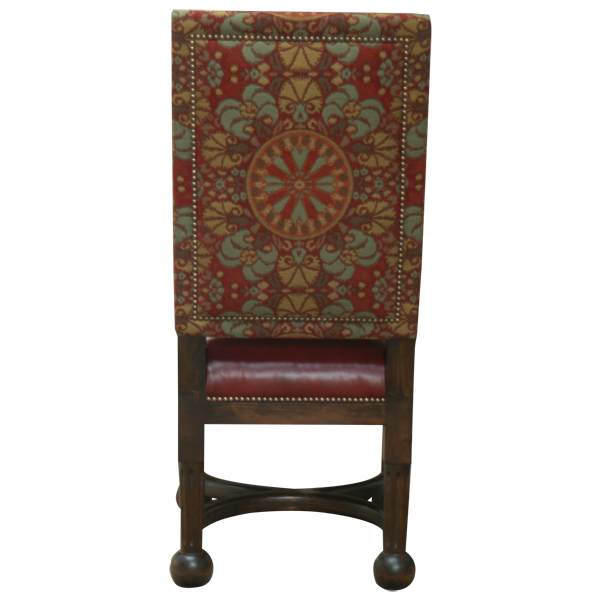 This tailored and graceful handcrafted dining chair is designed for a comfortable and relaxing experience at the dining room table. 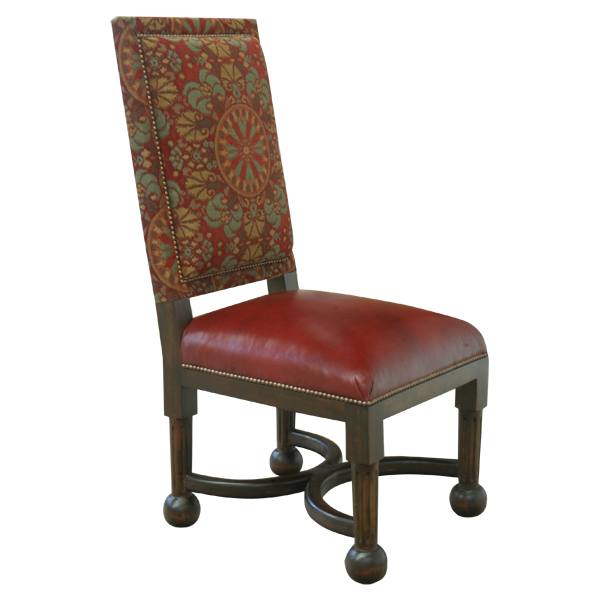 The seat and seat back are extra padded for comfort, and its tall seat back gives the chair an elegant look. 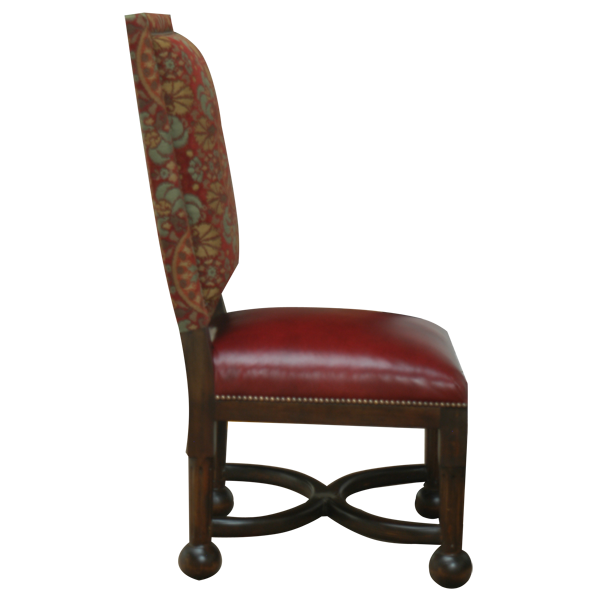 The seat is upholstered in brilliant, red stained full grain leather. 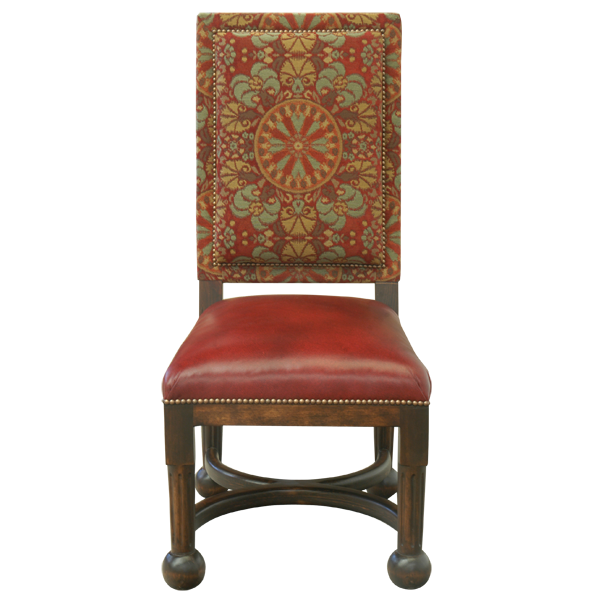 Both sides of the seat back are upholstered with beautiful, patterned, fine fabric. The seat back has large, decorative nails hand tacked to both of its sides. Smaller decorative nails adorn all sides of the seat. The upper part of the legs are decorated with hand carved floral designs, and the lower part of the legs have reed designs. The tapered, solid wood legs are joined by a beautiful double “C” stretcher. The legs end in hand carved ball feet. Both beautiful and durable, the chair is made with the best, sustainable wood available. It is 100% customizable.